4. Clients make the payment for deposit and send us Bank receipt or Payment screenshot. And the lead time for mass production will take 15-30days approx after sample confirmation,regarding to the quantity and design. We're dedicated to providing the quickest turnaround times and work very hard to ensure that all of your deadlines are met. Special colors based on pantone color code. Pls provide your artwork, picture or original sample 5. Shape,Visor mesh cap 5-panel or 6-panel, or as per your design 6. Back Closure has Brass, Plastic, Metal buckle. Sample fee would be refunded upon order confirmed. 2 YRS Jenany (Shenzhen) Headwear Co., Ltd.
5. Any brand we made is ours, we care it and concern it. Related Products Good factory Supplier save your time and money, help you to win market. 4.Q: Could you please send me your catalogue and price list of all your products9 A:Sure . The price is based on your final qty and design, pls let me know your cap details as qty, color, material, logos, etc, then we can quote you the exact price. Just send us your logo, and tell us the place, then we can help to make the artwork (mock up) to you for checking. When the caps finished, we will send you photos to check,after you say ok, then we can arrange shippment. Snapback Hat details custom winzone dropship snapback hats caps for small head/ sport snapback hat any logo can be do custom as your design ideas on this part. the factory for custom winzone dropship snapback hats caps for small head/ sport snapback hat. custom dropship snapback caps / sport snapback hat producing and workers working environment. 4.Shape: As custom beanie as your design,different shape can produce as your request 5.Logo: It will be embroidery,Jacquard knitting logo,woven lable,leather pacth and so on ,as your design 6.Price: FOB Qingdao China 7.Carton Size: 46*46*55cm,200pcs per carton,standard paper carton for shipping Product Information & Terms Of Business NO. 10 Remark 1.The material, colors, style and specification of caps can be done according to your requirement. Suitable for large quantity and non-urgent goods Customer design is accept, we will try our best to meet your requirements,we are looking forward to your sincere reply. 2 YRS Shenzhen Union Hatter Manufacture Co., Ltd.
* The order will be produced exactly according to order details and proofed samples. While it will take a longer time for complicated design, digital print fabric, embossed logo, for example. 4.How can I get my hats if I place the order to you9 That depends on the quantity your ordered. 1 YRS Dongguan Chaoxi Apparel Co., Ltd.
We have reach of stock in the material and auxiliary material, also the blank baseball cap and mesh trucker caps. 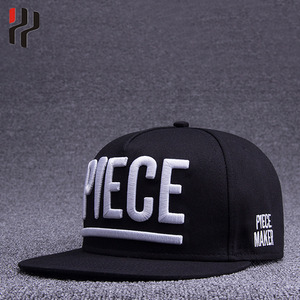 We have our own design team, can do the caps and hats accoding to your request. We can custom logo according to your request, Regarding the logo way, embroidery logo is for small order, popular. Related Products Question 1: Can I order custom snapback cap with my own design logo9 Answer: Definitely yes. Question 2: Can I order a sample first before mass production9 How can I place a snapback hat sample9 Answer: Surely you can order a sample first. Question 5: The sample cost can be deducted from the bulk order9 Answer: If you quantity over 200pcs, the sample cost can be deducted . Please provide the artwork or pictures or original sample, Alsowe can design on the cap for your request. so after we confirm the package types by email or phone ,we can advise the reasonable mode of shipping for you . Q:How much does the sample cost9 A: we can make the samples for you with free charge including the simple artwork . Alibaba.com offers 96,072 snapback hats products. About 94% of these are sports caps, 1% are other hats & caps, and 1% are winter hats. A wide variety of snapback hats options are available to you, such as plain dyed, plain, and applique. You can also choose from 100% polyester, 100% acrylic, and polyester/cotton. As well as from character, striped, and image. And whether snapback hats is unisex, male, or female. 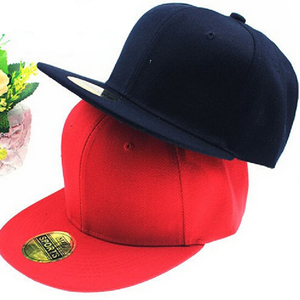 There are 96,072 snapback hats suppliers, mainly located in Asia. The top supplying country is China (Mainland), which supply 100% of snapback hats respectively. 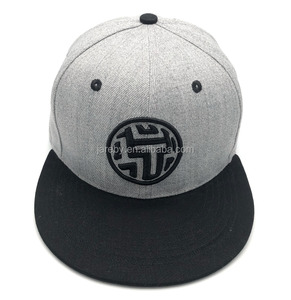 Snapback hats products are most popular in North America, Western Europe, and Oceania. You can ensure product safety by selecting from certified suppliers, including 19,194 with Other, 7,017 with ISO9001, and 4,488 with BSCI certification.